Last week I challenged you to a double adjective elimination. The goal was to see how long we could go without using the words amazing or awesome. How well did you do? I didn’t last 24 hours. 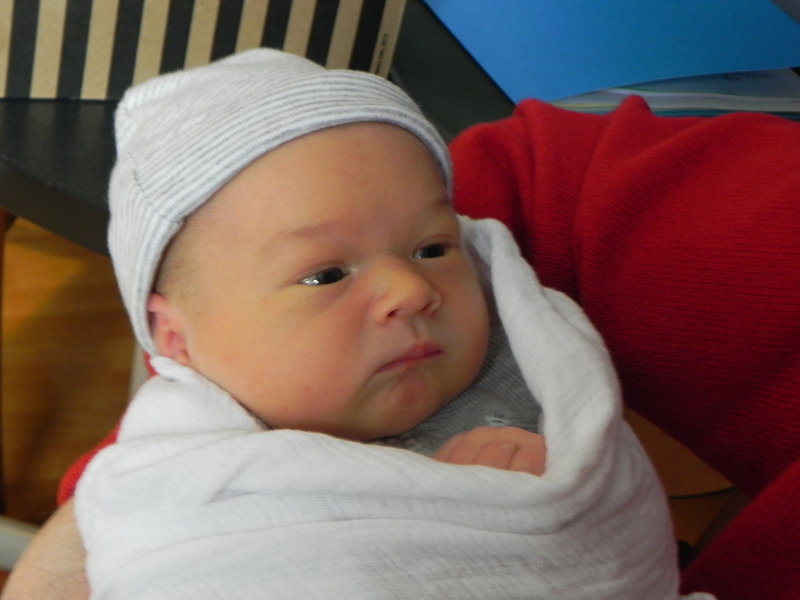 Only three days later, on Monday, February 18, 2013 my second grandson was born. 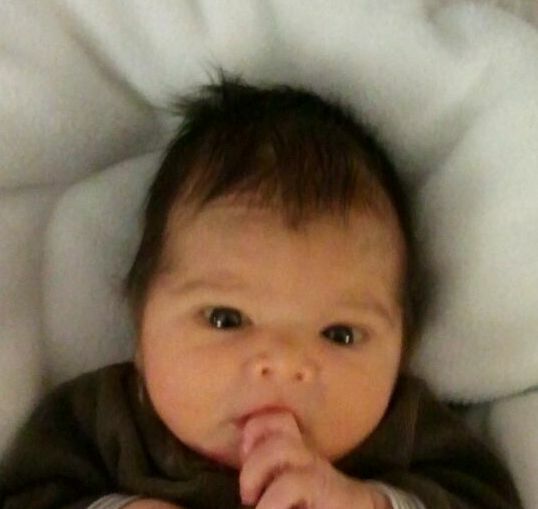 Tyler Matthew weighed 8 lbs and measured 20 inches long. He has the sweetest little round face and brown hair. We knew there was a chance our angels would arrive around the same time. My oldest daughter was due on the 8th and my younger daughter was due on the 21st ; but we didn’t expect them to be so close in delivering. Nor did we know the genders, so when the proud fathers entered the waiting room and announced what they were, we screamed with excitement. It didn’t matter if the babies were boys or girls, yet we were surprised and delighted. My faith is strong but watching my daughters in labor and waiting to know how those thousands of prayers would be answered–that hopefully all would be well with them and their babies–was very stressful. To experience that twice in such a short time has left me emotional, joyful, and so very grateful. Holding those babies in my arms is the greatest gift. They are perfect reflections of God’s love. I am so blessed to have incredible children, married to supportive and loving spouses, who together have given me two grandsons in three days. If that isn’t amazingly awesome, what is? Wow!!! How “amazingly awesome” is this? I am sooooo excited for you! Congratulations Mary!!!!! Congratulations, Mary, on being double grandma! Thank you. It’s the best feeling ever. Oh my!!!!!!!!!!!!!!! Just twoooooooo wonderful for words!! Congratulations! Praise to the Lord, for He is full of Love!! Hugs to your little ones!! Thank you, Toni. It is all pure joy!